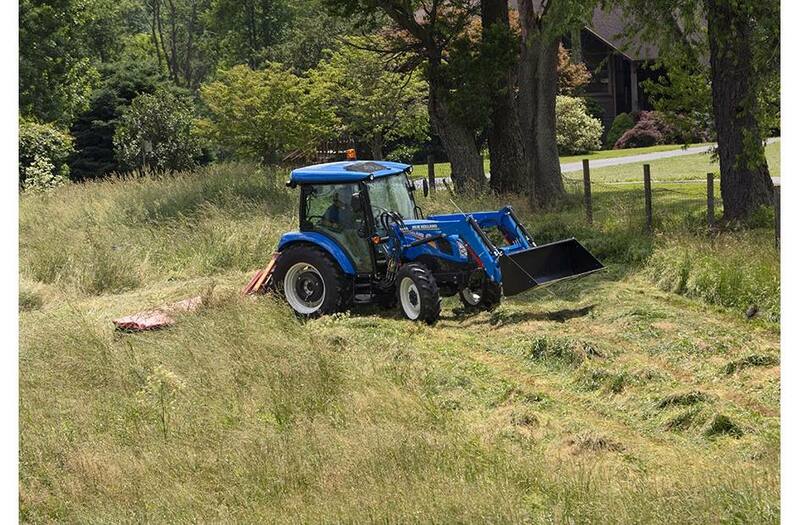 The Tradition of Value Continues: WORKMASTER™ 55, 65, and 75 utility tractors carry on the WORKMASTER tradition. They are tough, practical workhorses that provide unmatched comfort, simplicity and visibility with a low cost of ownership. The WORKMASTER Series are the best utility tractors to help you complete tasks efficiently while going easy on your wallet. Versatile Utility: Whether you are a lifestyler with animals and small acreage to maintain, a mixed beef or cow/calf operation with a herd to care for, or a livestock farmer with a small- to medium-sized herd, a reliable, versatile WORKMASTER utility tractor handles all your chores productively and efficiently. 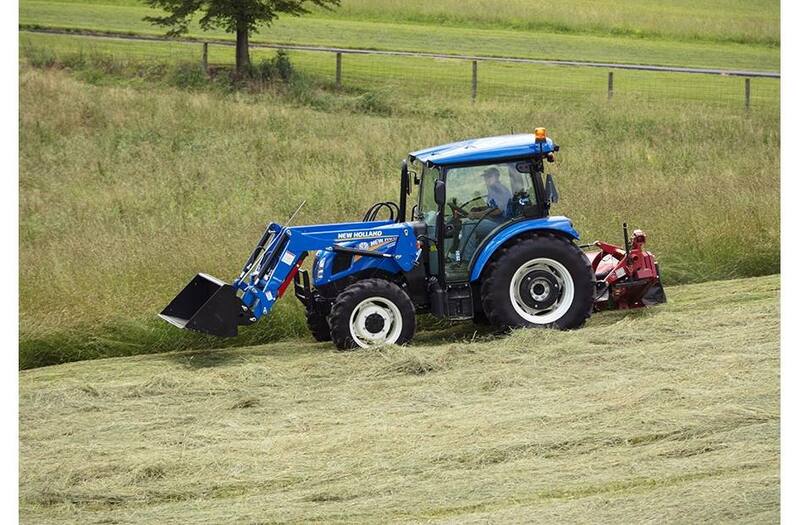 They offer the power of a mid-size tractor with the convenience of a small tractor. Simple Choices: Equipped just the way you need it, the WORKMASTER 55, 65, and 75 utility tractors are ready to complete any task with the productivity of the 12x12 hydraulic power shuttle transmission and four-wheel drive. All three models are available with the WORKMASTER cab, or choose the open-air, flat-deck ROPS platform (available on the WORKMASTER 75 only). Best-In-Class Value: Value and comfort are not mutually exclusive. Heat, air conditioning, the flat-deck platform and cloth air-suspension seat make your long work days easier by providing maximum comfort in any weather for minimum cost. Well Placed, Easy To Use Controls: The ergonomic design of WORKMASTER cab allows you to be in control at all times no matter your experience level. Controls are positinoed for fingertip access to reduce effort while enhancing comfort and ease of operation. See Your Way To A Safer, More Productive Work Day: You get an exceptional 316-degree visibility range from your seat in the WORKMASTER cab, making your work easier and providing you an extra boost of confidence. The optional high-visibility roof panel creates a clear view to the loader to maximum height. Instrumental Instrumentation: Staying informed is an instrumental part of safe, productive tractor operation. WORKMASTER has that covered with a modern and easy-to-read instrument cluster. Unmatched Features, Incredible Value: This cab provides you with more standard features than the others, with BlueTooth radio, ample lighting, extra legroom, and an easy-access wide entry. It’s clear why this cab is best in class. Compact Engine, Simple Emissions, A Better View: WORKMASTER 55, 65 and 75 utility tractors feature a compact 3-cylinder, 179-cu.in. engine. The emissions system is simple and requires no operator input. Tier 4B emissions are achieved with the use of a Diesel Oxidation Catalyst (DOC) and Exhaust Gas Recirculation (EGR) with NO Diesel Particulate Filter (DPF) and NO regeneration. 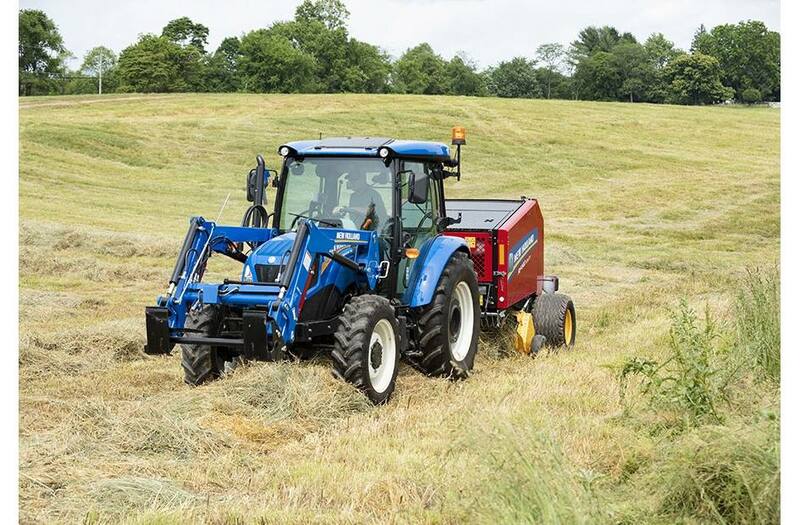 The compact size of the engine doesn’t require a bulky hood, providing you excellent visibility out over the front of the tractor. High Performance and Efficiency: With four valves per cylinder, these engines help you make quick work of your chores by providing fast response in tough conditions. On top of that, you also save money with their impressive fuel efficiency. Ongoing Value: Value should extend past the time of purchase. That’s why the WORKMASTER 55 , 65, and 75 engines have low maintenance costs with a 600-hour oil change interval and a maintenance-free, DOC-only emissions system. Maximum Productivity: The 12x12 power shuttle is the best option for customers looking for maximum productivity in a utility tractor, or for those who make direction changes often in applications such as loader work. Well Placed Controls: Simple and ergonomic transmission controls make it easy for anyone to operate this tractor. Controls are located within easy, natural reach so they're comforable to use. The shuttle lever is mounted to the left-hand side of the steering column for easy, fingertip access, and the range and gear levers are on the right-hand console. Simple and Versatile: The WORKMASTER advantage is clear. Its simple, high-productivity transmission provides all types of customers with the absolute best operating solution for every task. Stop, Drop, Engage: When you need to stop quickly, drop your feet on both brake petals simultaneaously. This causes four wheel drive to engage automatically for more stopping power. Rugged and Maneuverable: The WORKMASTER heavy-duty 4WD axle is designed for the rigors of loader work. Its high capacity design is tailor-matched to the performance of the 550LU or 555LU loader. These loaders were designed along with these 4x4 tractors so they work perfectly together. Switch It Up: Switch into four-wheel drive with a super-simple rocker switch located on the steering column so you can get right back to work when conditions become tough. 540-RPM Hydraulic PTO: Every WORKMASTER™ 55, 65, and 75 utility tractor comes standard with 540-RPM rear power take off (PTO), which is compatible with a wide array of implements and attachments. The hydraulic wet clutch design ensures ease of engagement and provides a long life. Low Operating Costs: The WORKMASTER PTO operates at a low 1,960 engine rpm to conserve fuel and maximize your efficiency no matter what implement or attachment you operate. Easy To Engage: Using the PTO on WORKMASTER utility tractors is quick, simple and, most importantly, safe. You’ll find the easy to engage PTO lever on the left-hand side where you can clearly identify and use it. 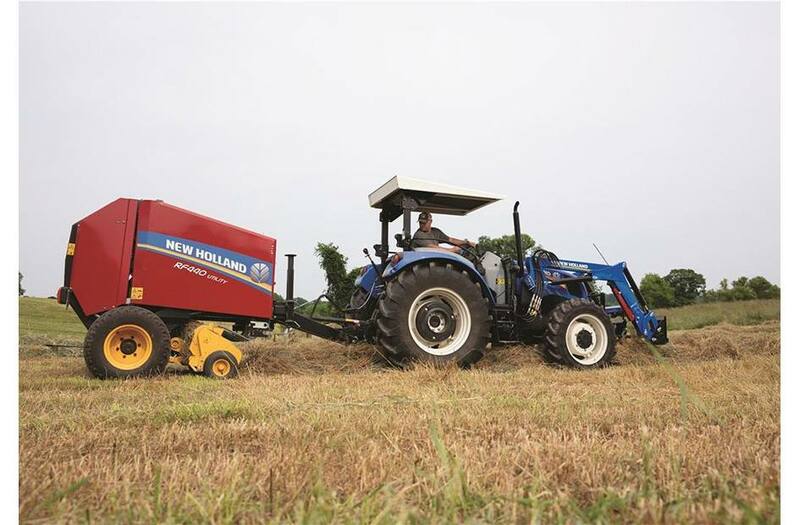 Accomplish More with Heavier Implements: The 3,500-pounds of three-point- hitch lift capacity means you can make the most of heavy implements. When more is required you can option up with the auxiliary lift cylinder that increases capacity to 4,000 pounds. 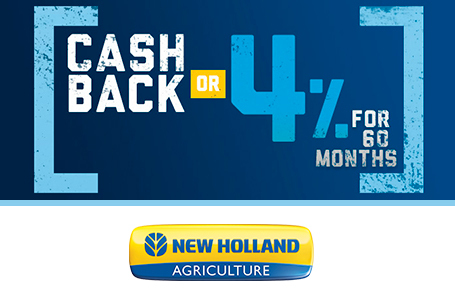 Quick Raise and Lower with Lift-O-Matic™: The New Holland Lift-O-Matic™ system allows you to quickly raise and lower the rear hitch with the flip of a switch. Faster Loader Cycle Times: The dual-pump hydraulic system combines a 12.6-gpm implement pump and a 7.6-gpm steeering pump to deliver the hydraulic power you need for the remotes, three-point hitch and loader. Simplified Hookup: Rear hydraulic remotes are located on the left side so there's no need to walk around the tractor or reach over the implement for hookup. 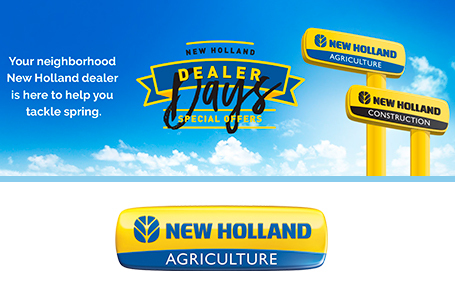 New Holland color codes the hydraulic control levers and rear remotes so you can easily identify the correct lever. Integrated Loader Design For Optimal Performance: The factory-installed 550LU and 555LU loaders were designed specifically for the WORKMASTER 55, 65, and 75 to ensure proper tractor-loader integration and the very best performance. The optional loader suspension system allows for smooth operation over rough terrain. A 3rd function diverter valve is also available for customers to operate a grapple bucket, 4-in-1 bucket or other attachment requiring a 3rd function. Innovative Controls: The new loader joystick design gives you a choice -- either hold the top of the joystick for traditional operation or grip around the joystick for a modern, ergonomic approach. 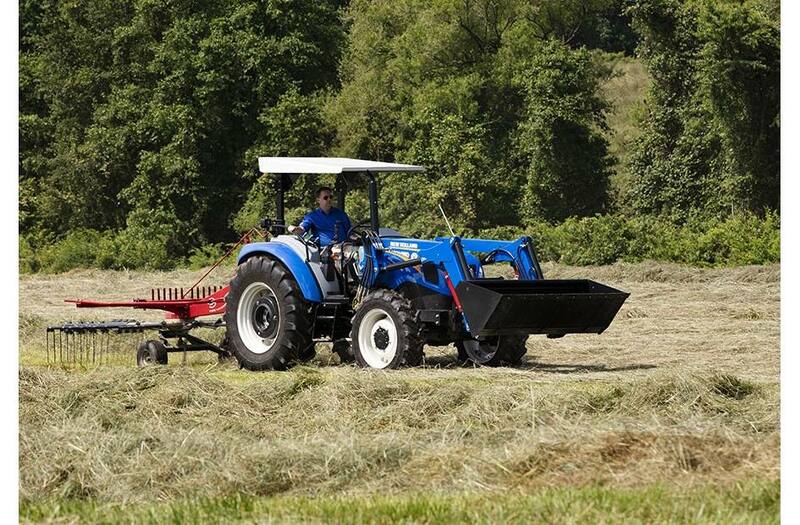 Widespread Implement Compatibility: The WORKMASTER 55, 65, and 75 tractors are ready to work with a wide variety of implements and attachments from ground engagement to haymaking and so much more. 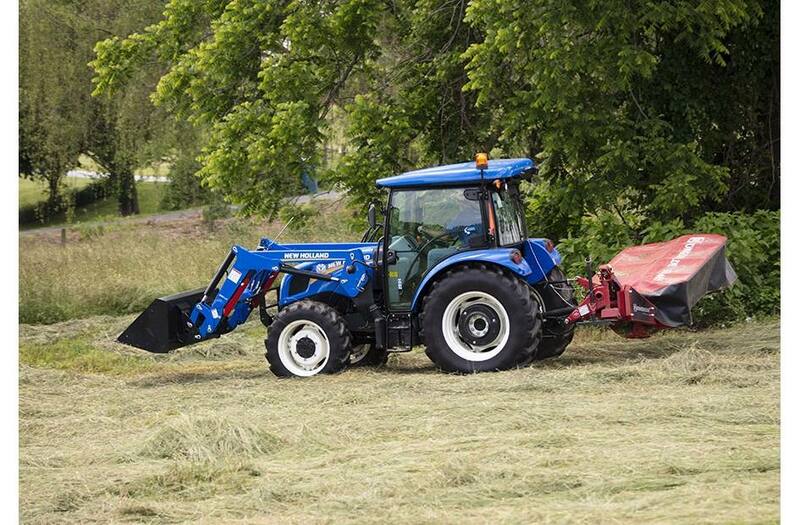 Easy Servicing: A WORKMASTER(TM) is the best tractor for saving you time and money when it comes to maintenance. Convenient access to service points makes fueling up and performing routine maintenance quick and easy. Even when a loader is attached, it’s easy to get under the hood of your WORKMASTER. Just open the hood to access the engine, radiator, air cleaner and more. Ongoing Value: Value should extend past the time of purchase. That’s why the WORKMASTER 55, 65 and 75 engine reduces maintenance costs with a 600-hour oil change interval and a maintenance-free, DOC-only emissions system. 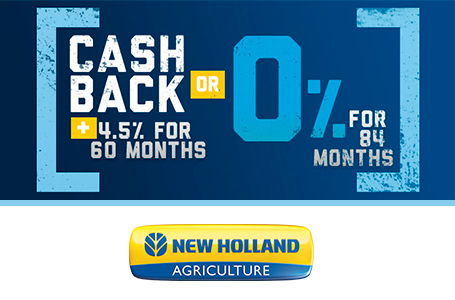 New Holland Has You Covered: WORKMASTER™ 55, 65, and 75 utility tractors are backed by a 2-year, 2,000-mile full-coverage warranty to keep you working without worrying.